Can speech titles attract audience? Yes they can. And yes, they do. So, the title to your speech matters. It matters because it could attract your audience. Alternatively, when you choose the wrong title to your speech you stand the chance of losing your audience. That's right. You have a demanding audience. Your audience needs value and benefit. That's because they want something in return for their time commitment—their precious time spent listening to you. 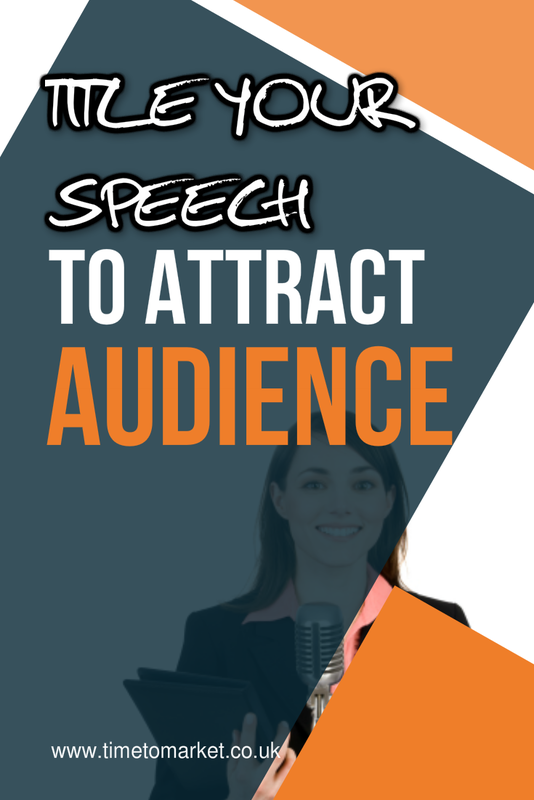 A speech title that attracts an audience provides an insight into the core of the subject, the argument or the position of you, the speaker. That's not something that José Manuel Durão Barroso achieved with this lengthy EU speech. This speech title should prove suggestive of your position and possible benefits to your audience. In comparison, consider what's happening with this title. Not much value there you might think. And you are right. That's because the first title anticipates a stance and benefits. The second title suggests views, discussion and talk. But, it falls short of realistic gain. So, an audience will see this distinction. That's because they want to get something for their time investment. And that's why a title that suggests value is always going to be preferred to one that doesn't. Therefore, a title to your speech is important. So, remember to fashion a title that promotes value, significance and benefit to your audience. For more public speaking tips you can always join us on a public speaking course. Because we train at more than 40 training centres, you are never that far away from your nearest course.